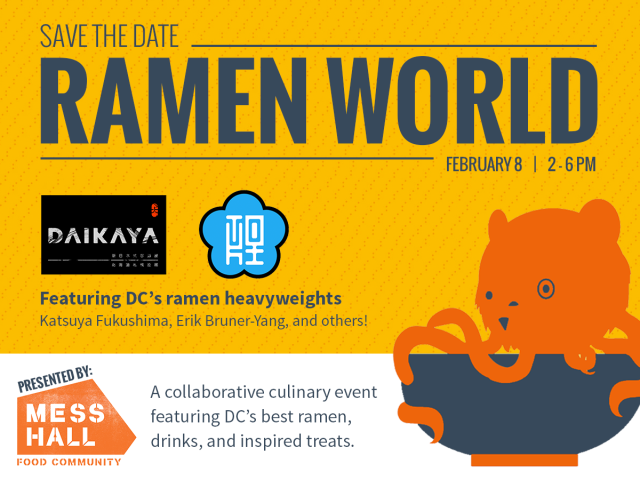 “Mess Hall is pleased to present “Ramen World”, a collaborative culinary event to take place on Sunday, February 8th, 2015 featuring some of DC’s best culinary professionals, music, specialty cocktails and most importantly – food. Ramen World will showcase DC’s ramen-heavyweights Eric Bruner-Yang from Toki Underground and Katsuya Fukushima from Daikaya. It doesn’t end at ramen; guests can expect to enjoy custom creations from Adam Morgan’s hugely popular Donburi, and foodtruck rockstar PhoWheels. The US Bartenders’ Gild will be creating craft cocktails to complement the many dishes. Desserts will be provided by SnoCream Company. Additional participants will be announced at a later date. This event will highlight some of the most popular and renowned brands in the DC metropolitan area, in addition to fostering relationships between chefs, restaurants, and customers. 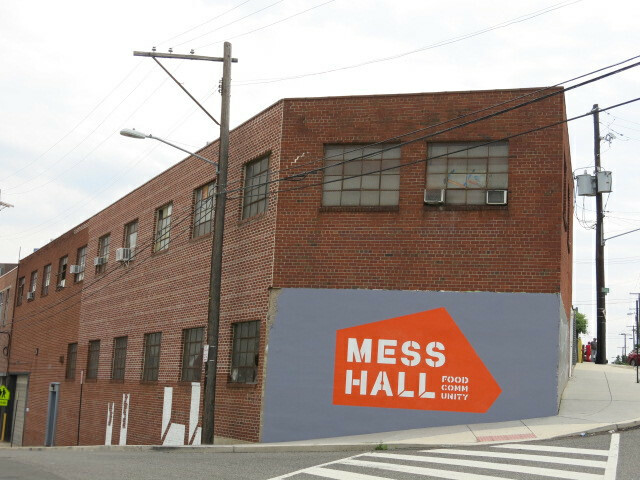 This embodies Mess Hall’s core values.